PH2.5 Indoor Rental LED Display offers stunning definition, contrast and color reproduction that present crystal-clear pictures in every condition. 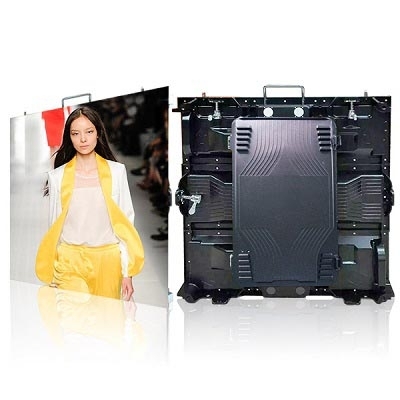 The displays are widely used for bank, stage, concert, hotel, station, summit, exhibition and theater etc. The Ultra HD LED Display can be installed within minutes, without any special tools. You may configure the Military Level LED Display as per your requirements and choice. Adjust the brightness, gray scale and picture quality as per your choice. Advanced adjustment options allow you to set up the display as per the environment conditions and area of installation. Ultra HD LED ekranları en son teknoloji ile üretilmiş olup tarama özelliği olan ve yüksek parlaklıkla birlikte en yüksek çözünürlüğü vermektedir.1000Hz ile tazelemek ve çözünürlüğü destekler bu da en kalteli resimleri,videoları ve yazıları vermektedir.